Testing is essential during development and production. It provides information on the latest status and thereby indicates that everything is OK or that there is a need to act. 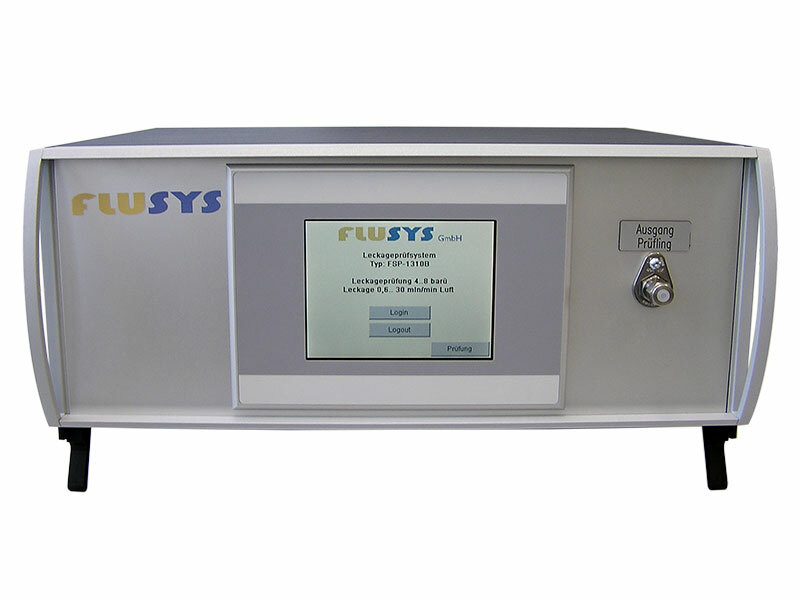 With test bench from Flusys this important task is fully automated, which makes your job easier and records all events that occur. Leak testing – an important safety issue! 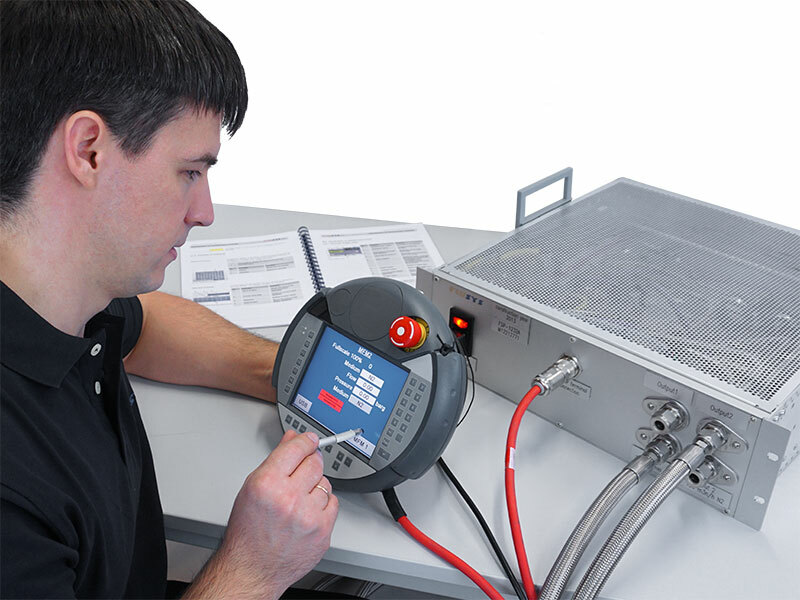 Leak tests are the most common application for testing systems. The work in this situation is done by a measuring device, which is used either directly as a stand alone table unit or integrated as an active unit into overarching control systems, e.g. production processes. It can be used for leak tests either according to the relative pressure method or the differential pressure method (drop in pressure). The automatic, rapid filling of the test item is enabled by pressure regulators and precisely calibrated mass flow controllers. The intelligent cascade switching system ensures optimum precision. 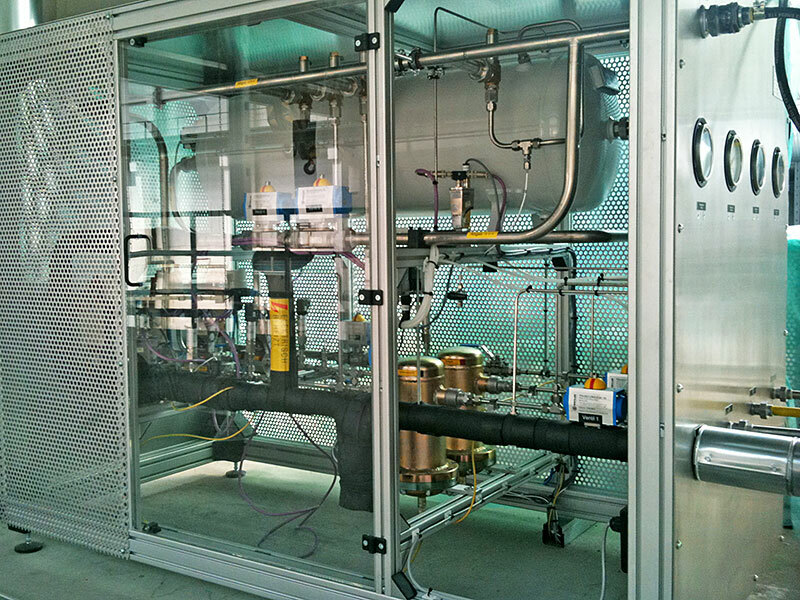 It automatically selects the most suitable mass flow controller at the time, from multiple controllers. 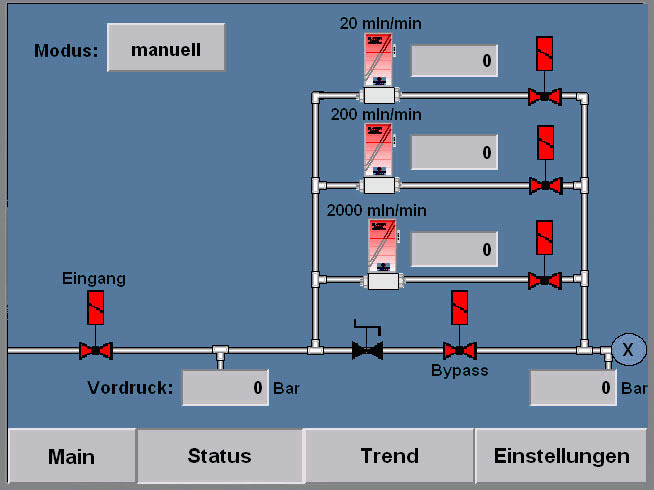 In addition to the fully automatic version (for connection to PLC), more economical systems with manual pressurisation are also available.